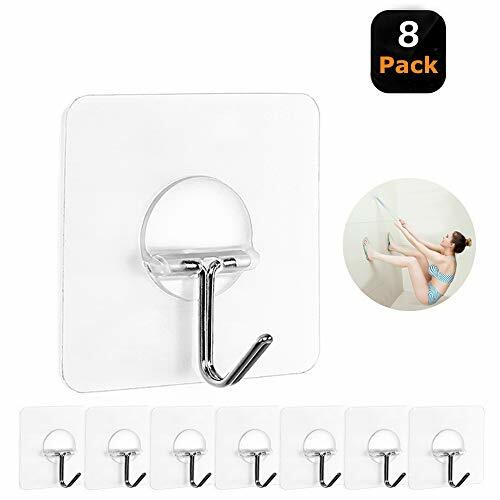 Color:Transparent Material:Quality stainless steel + PVC material Package Quantity:1 set 8 hooks How to use: 1.Clean the surface 2.Peel off the cover 3.Press to exhauat air Notice: 1.please clean the suface from oil/dust/water. 2.It's suitable for surfaces like ceramic,glass,metL,Pstic and wood etc. 3.Painted wall and rough surfaces are not advised. 4.Max weight is 15 lb.please do not hang overweight,valuable or fragile products. 5.Please wait 24 hours before attaching anything to these hooks. How to remove: Use the hair dryer heating it, then remove it SLOWLY,No Traces will left. Product Warranty If the product is deemed defective, you can simply return to us for an No Hassle Replacement or Refund. Jinshunfa brand always try best to provide fashion and necessary products for your daily life! High Quality is our guarantee! 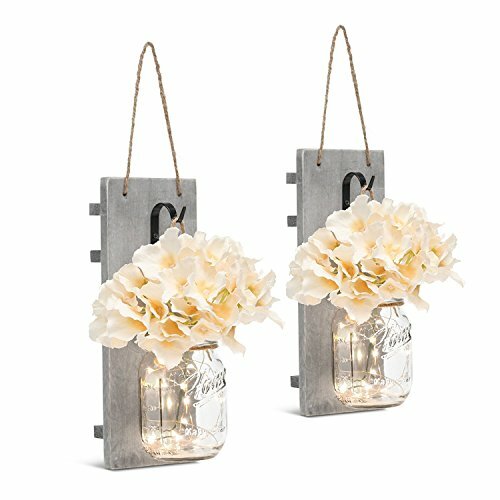 PERFECT STYLISH APPEARANCE -Unique transparent design makes it almost invisible which is quite suitable for nice home decoration. TRANSPARENT DESIGN- Stylish Adhesive Wall Hooks,almost trace-less and invisible. EASY TO USE-Easy to paste and won't damage your walls, no need to nail and drill. Easy to remove without surface damage,Can be utilized repeatedly after cleaning and dry. STABLE AND DURABLE - Solid stainless steel and PC construction, ensuring quality and longevity. Small and light design, multifunctional. Life is easier when everything has its place. 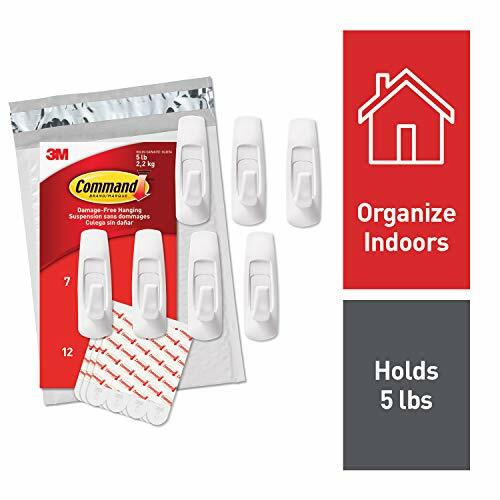 Organize your home damage-free with Command Utility Hooks. Command Hooks let you hang what you want, where you want, without the hassle of tools and nails. 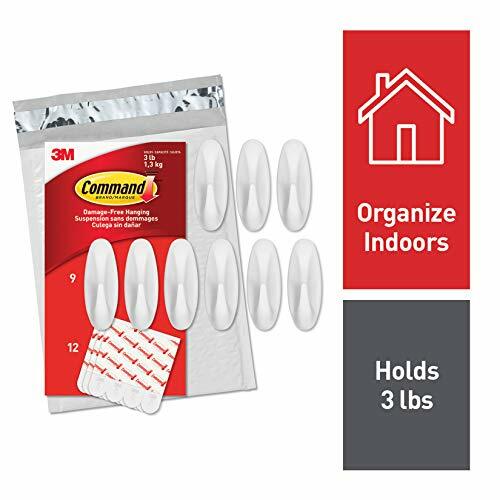 Command Strips hold strongly on a variety of smooth, finished surfaces, and these adhesive hooks remove cleanly with no sticky residue or damage left behind. Now you can organize your home or office just the way you want with Command Utility Hooks. Life is easier when everything has its place. 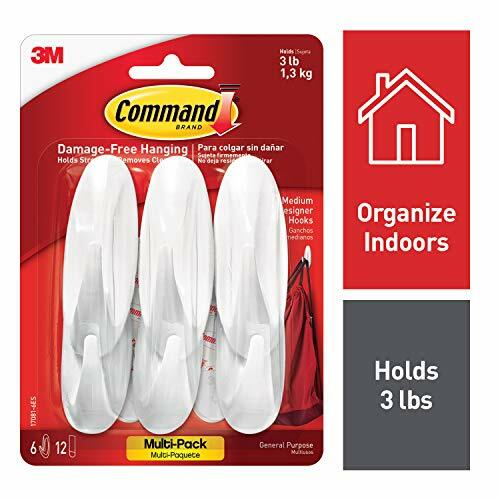 Organize your home damage free with Command Utility Hooks. Command Hooks let you hang what you want, where you want, without the hassle of tools and nails. 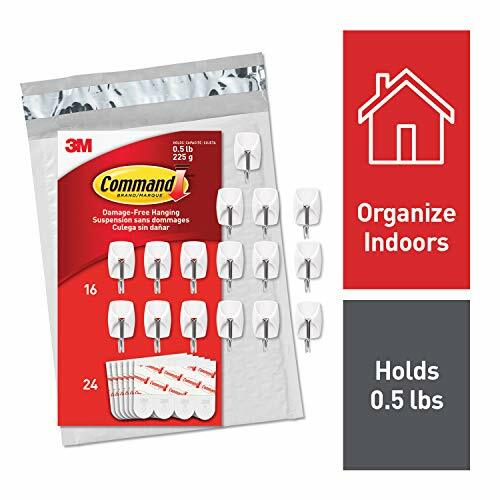 Command Strips hold strongly on a variety of smooth, finished surfaces, and these adhesive hooks remove cleanly with no sticky residue or damage left behind. Now you can organize your home or office just the way you want with Command Utility Hooks. Command Decorative Hooks come in a variety of styles - from sophisticated to fun and playful - giving you options for every room and every person in your home. Using the revolutionary Command Adhesive, Command Decorative Hooks stick to many surfaces, including paint, wood, tile and more. 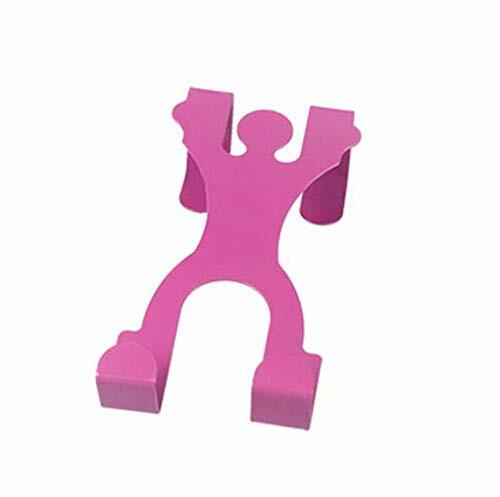 Yet, they also come off leaving no holes, marks, sticky residue or stains - so you can take down and move your Command hooks as often as you like. Reusing them is as easy as applying a Command Refill Strip, so you can take down, move and reuse them again and again! Command hooks are available in a wide range of designs to match your individual style and decor. They also come in a variety of sizes and hold a surprising amount of weight - up to seven and a half pounds! Forget about nails, screws and tacks, Command hooks are fast and easy to hang! Using the revolutionary Command adhesive, stick to many surfaces, including paint, wood, tile and more. Yet, they also come off leaving no holes, marks, sticky residue or stains. Rehanging them is as easy as applying a Command refill strip, so you can take down, move and reuse them again and again. 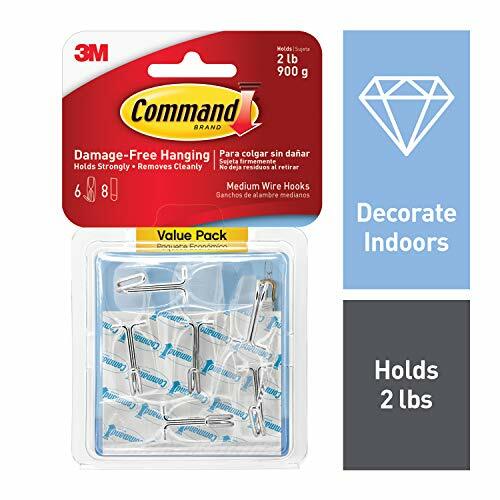 Command Clear Medium Wire Hooks are great for hanging belts and accessories, seasonal decor, cleaning tools and small kitchen items. Command Clear Hooks and Strips blend in seamlessly allowing you to show what matters most, your decor, not how it's hung-up. 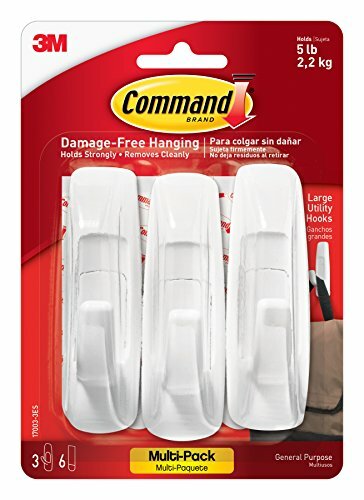 Forget about nails, screws and tacks, Command Clear Hooks are fast and easy to hang! Uses revolutionary Command Clear Adhesive Strip to hold strongly on a variety of surfaces including paint, wood, tile and more. Removes cleanly - no holes, marks, or sticky residue. Rehanging them is as easy as applying a Command Clear Refill Strip, so you can take down, move and reuse them again and again! Contains 2 hooks and 3 medium clear strips. Holds up to 2 pounds. Size - Wooden board is 11x4.3x1.2; The diameter of the bottle is 3, Height 5, capacity of 16oz. 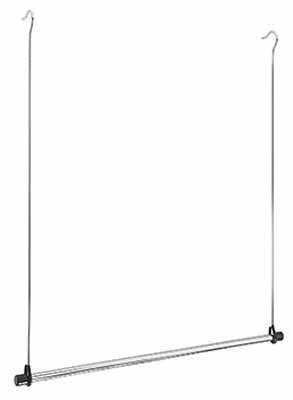 Doubling your closet space is as easy as installing this innovative Double Hang Closet Rod by Whitmor. This durable chrome closet rod hangs on any standard closet rod just like a normal hanger and instantly doubles your closet's hanging space. This fantastic clothing bar provides an extra rod for hanging and also clears space above for hanging on your existing closet rod. Perfect for dorm rooms, apartments and houses, installs in seconds without tools or additional hardware and removes easily for moving or relocating. Measures: 2.0"L x 30.75"W x 34.25"H.
The Decorative Key Holder by Comfify helps you keep track of your most important items, keeps your home tidy, and adds good looks to your d cor. It's not good just for keys - these hooks are large enough to hold coats, hats, gloves, and more. The stylish, contemporary design looks good mounted anywhere, including home entry, hall ways, in closets, utility room, kitchen, office. The clean, attractive design and polished-metal finish look great in any home, and the contemporary style fits almost any home d cor. The Decorative Key Holder by Comfify is sculpted from high quality hand-cast aluminum, precision shaped and tested for quality - it's designed to provide years of service. Installation of this metal keyholder takes only minutes: 2 mounting screws and 2 wall anchors are included, so all you need is a screwdriver. This key hanger for walls is also designed to reduce accidents and prevent scuffs and damage to your wall. It features a thin profile to reduce accidental bumps and snags in high traffic areas. 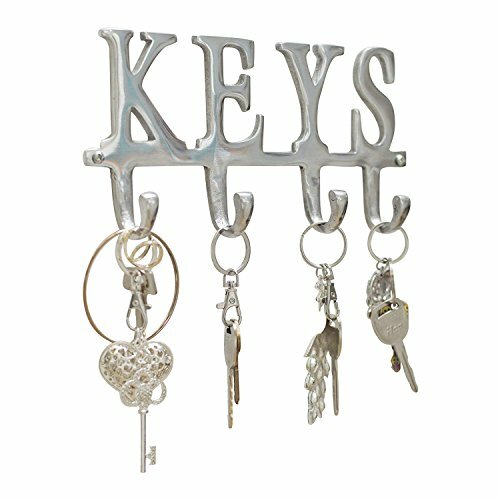 Moms and grandmothers, new home owners, office colleagues, and anyone who wants their keys, hats, and coats easy to locate and accessible will love this stylish metal wall mount key holder. This is a great choice for birthdays, Mother's Day or Father's Day, anniversaries, and other occasions. ORDER NOW WITH ONE CLICK! Your purchase is protected by Amazon's A-to-z Guarantee, which ensures your order arrives on time and exactly as described.  100% HAPPY CUSTOMERS: We're so confident that you'll love our product, that we'll give your hard-earned money back if you're not thrilled with your purchase. Simply contact our friendly customer service team to make it right. It's all on us - so there is zero risk to try the product today! Cast aside your superstitions! 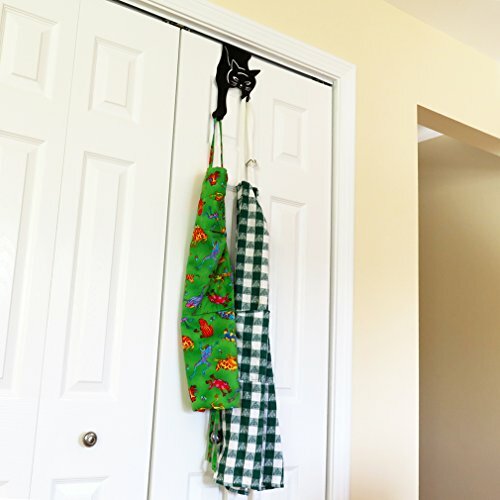 Instead of crossing your path, this black cat extends his paws over your door to provide two extra hooks for hanging clothes, coats, accessories and other items. Conveniently increase storage space and reduce clutter with this easy-to-install over-the-door mount. No tools required. Perfect for placing over your bathroom or bedroom door to hang bathrobes and towels, or hang inside a closet or office door to organize jackets or hats. A great gift for any cat lover! Features cute cat silhouette with details including eyes, whiskers, nose, mouth, and ears to define cat's facial features. DETAILS: Holds up to 20 pounds. Fits door measuring up to 1.5" thick. Overall measurements are approximately 9.84"L x 6"W x 1.75"H. Constructed of sturdy, long-lasting iron that is encased with a rust-free black coating. Increase storage space & organize in style! Two black cat paws extend over your door to provide two hooks for extra storage for hanging clothes, towels, jackets and other items! Perfect for placing over your bathroom, bedroom, office or closet door. Reduce clutter! Holds up to 20 pounds. Fits door widths measuring up to 1.5 wide. Install in seconds! No tool required. Overall measurements are approximately 9.84L x 6W x 1.75H. Made of sturdy, long-lasting iron that is encased with a rust-free black coating. A great gift for any cat lover! Features cute cat silhouette with details including eyes, whiskers, nose, mouth, and ears to define cat's facial features. Trusted vendor. For years Evelots has provided unique products with a 30 day easy return policy, and 100% satisfaction guarantee.